After going to see the Villa Seurat, where Henry Miller lived when he wrote Tropic of Cancer, we stopped at the Café Zeyer for drinks. The Zeyer, which he described as “a gaudy place with red plush and mirrors and polished brass,” was where Miller often took a fine à l’eau and argued metaphysics with friends. It was a burning hot day in Paris. Carl Weissner ordered beer. His close friend Jan Herman, publisher of San Francisco Earthquake and the Nova Broadcast Press, ordered a kir, as did his wife Janet. “Tell Carl the story about Buk,” I urged. The previous night Janet had told me about the time Jan took her to meet Charles Bukowski in Los Angeles. They brought a bottle, on Carl’s advice, and ended up finishing it. When they were taking their leave, Buk moved to kiss the young and fetching Janet — and promptly shoved his alcoholic old tongue down her throat. She was disgusted, but it made for a great story a few decades later. “You should have challenged him to a duel on the beach — with sabers,” Carl growled, rubbing his hands together with a glee suggesting that he was really visualizing this oceanside face-off. [Weissner’s] letters were quite incisive, entertaining (lively as hell), and he bucked up my struggle in the darkness, no end. A letter from Carl always was and still is an infusion of life and hope and easy wisdom. I was in the post office at the time and living with a crazy and alcoholic woman and writing anyhow. All our money went for booze. We lived in rags and a rage of despair. I remember I didn’t even have money for shoes. The nails from my old shoes dug into my feet as I walked my routes hungover and mad. We drank all night and I had to get up at 5 a.m. When I wrote, the poems came out of this and the letters from Carl were the only good magic about. In the five years after their initial meeting, the writers would intersect in a number of book projects and little mags, including Weissner’s own Klacto. In 1967, Beach Books in San Francisco published So Who Owns Death TV?, a pamphlet containing cut-ups by Burroughs, Weissner, and Claude Pélieu. Herman’s Nova Broadcast Press would publish Burroughs’ The Dead Star in 1969; The Louis Project, containing texts by Weissner and Herman, in 1970; and Weissner’s book of cut-ups, The Braille Film, which contained a “counterscript” by Burroughs, in 1970. In 1972 Agentzia in Paris would publish Cut Up or Shut Up, a compilation of cut-ups by Weissner, Herman, and Jürgen Ploog, with a “tickertape” by Burroughs running across the top of the pages. Although the renown from his translations enabled Weissner to write for mainstream magazines such as Rolling Stone, literary experimentation never ceased to form an important part of his repertoire. 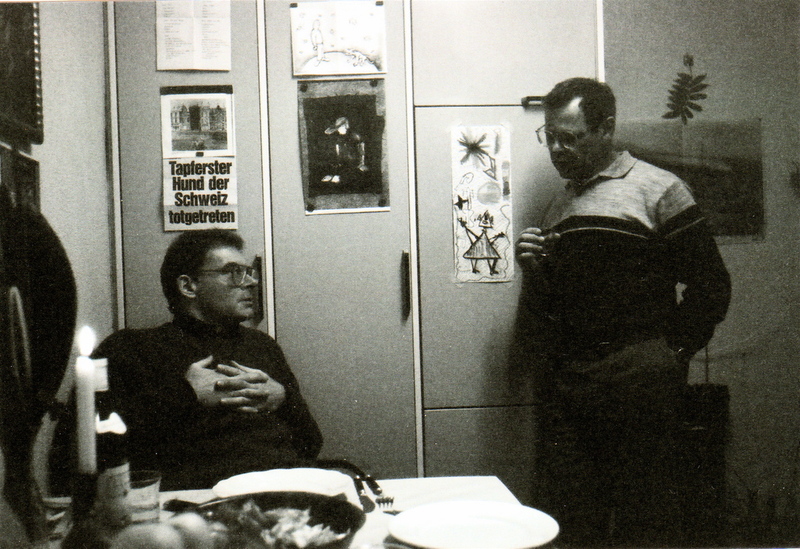 From 1973 to 1986 he co-edited, with Ploog and Jörg Fauser, the little mag Gasolin 23, which published his own work alongside that of Burroughs, Bukowski, et al. In more recent times, Weissner has been working on two novels and further experiments. The latest of these is Death in Paris. This new text clearly references its namesake, Death in Venice: Thomas Mann’s narrative moves from Munich to Venice, Weissner’s non-narrative from San Francisco to Paris; the cholera plague in Venice becomes a spree of random violence in Paris; Mann’s protagonist, a world-weary writer, becomes Weissner’s cynical but sharp-eyed littérateur; etc. Each text is the story of a man, a city, and a love interest — except that Mann’s hero obsesses over a young man, while Weissner’s anti-hero prefers death, particularly its homicidal forms. Death in Paris, however, is no simple rewrite of Death in Venice. Weissner does not do the Hollywood remake, “updating the story for today” or some such. What he does to Death in Venice is what a terrorist does when tossing an improvised explosive device into a crowd. He sews chaos, inflicts violence, and, most important, makes a statement. In that sense, the m.o. is creation through destruction — except that to say as much of Death in Paris runs the risk of diminishing the text’s real creativity, its black humor, wisdom, and vitality. Is there a bad metaphor in the thing? I read it (for the sixth time now) and think to myself, “How can a foreigner write like this in English?” Or more simply: how can anyone write like this? Jesus. 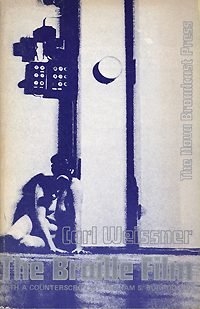 RealityStudio is truly thrilled to be able to present this previously unpublished text by Carl Weissner. Death in Paris is available in its entirety to read online or to print. Doubtless it will help to put La Louisiane, the Paris hotel which figures so prominently in the text and where much of it may have been written, alongside the Villa Seurat and so many other places on the literary map of Paris. Published by RealityStudio on 24 July 2009. Special thanks to Jan and Janet Herman. Thanks to Walter Hartmann, Charles Plymell, and Udo Breger for additional images. Updated with new material in July 2010 and February 2012. 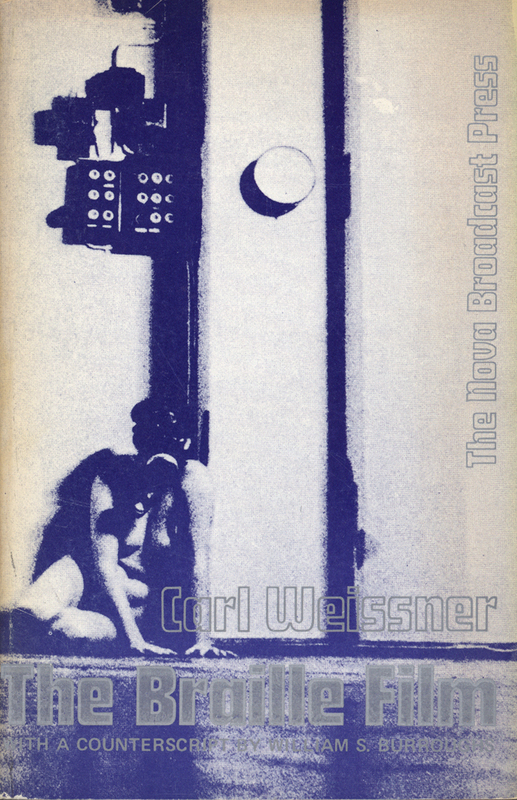 All of this excites me greatly… I discovered Weissner’s work while researching my PhD on the cut-ups, which features a lengthy section on ‘The Braille Film’ – a book I would consider something of a ‘lost’ avant-garde / cut-up classic. While I have gathered many of his texts, there are pieces here I have not seen. Moreover, the unveiling of ‘Death in Paris’ is a revelation indeed… Much to digest right now, but truly splendid work! A big Thank You to Reality Studio for sharing another brilliant piece of work with the world! I find myself in complete agreement with Ed Robinson, when he states that he considers “The Braille Film” to be a cut-up classic. But to return to the topic, I believe that Carl Weissner, like WSB and JGB, have made contributions to literature and art that will serve both the present and the future for a very long time. Einfach wunderbar, aber auch eine exquisite Komplexität!